Plano Air appreciates customer testimonials! Plano Air Conditioning and Heating has the #1 service in DFW, but don't listen to us! 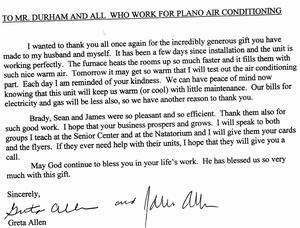 Listen to actual Plano Air Conditioning and Heating customers!